How many times have you tried to pack a few supplies for a picnic or day at a beach, but found yourself lugging a large cooler? Fortunately, you no longer need to carry a hard cooler for small hikes, picnics or a day at the beach. There are good backpack coolers that rest comfortably on the back while giving you space to keep your foods & drinks ice-cold. Unlike high-end or traditional coolers, Backpacks are compact and provide increased mobility. You can easily walk considerable distances with them too. With innovation, insulated backpack coolers have been modified to keep stuff cold for a decent time, usually a day or less. You can find all kinds of backpacks that vary in shape and size but put in mind the most important factors are mobility, comfort, & easy access to accessories on backpack coolers. 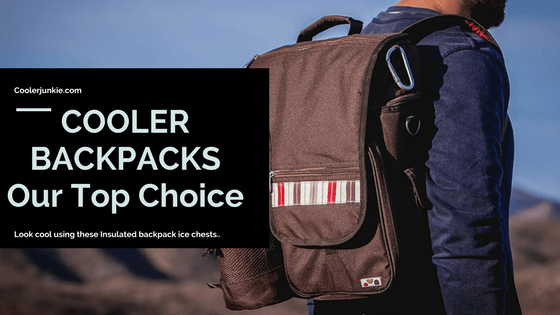 We are taking a look at a product from Polar bear, and this company is well known for changing the face of cooler backpacks. Now, some of you might think this is a bit exaggerated, but this backpack can keep ice for a full day (24 hours). The interior utilizes high insulation fabric to make sure of that. This backpack features a scratch resistant 1000D nylon exterior, solid mobile zippers. With that said, the bag comes with ergonomic straps and promise not to leak or sweat. Rest assured, some users have backed this claim. The best part about the polar Nylon series is its compressible feature which allows you to tuck the bag inside. Overall, the polar bear Nylon backpacks are decent. The bag retains ice and does not leak or sweat while the size is just perfect. A satisfied user said, “give me the OAgear backpack, and I will follow you to the end of the world.” Well, the statement might be a bit cocky but let’s check whether the OAgear is worth sacrificing your all to get it. This backpack packs an array of features like two side mesh pockets, durable zipper pocket, and comfortable padded straps. Yes, it is perfect for hiking beach trips, picnics and much more. Although not the most appealing backpack you’d find on the list, the functions outdo the design. With that out of the way, it has enough storage space to fit in 20 cans and still have enough space for ice. The insulation performance is respectable enough to pull through the day. According to a user, the backpack can hold eyes for more than 24 hours but not up to two days. Fashion inclined consumers will like the array of colors the oagear comes in: Green, black, grey, red, royal and Realtree APX. All you have to do is select your favorite color to enjoy the features. Igloo is a company that has perfected that art of coolers. 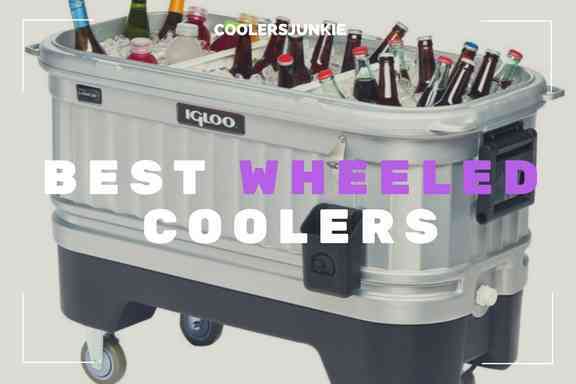 Their coolers have been around for years, and the products speak for themselves. Next up, we are looking at a versatile backpack that can be used utilized for hikes, picnics or time out at the beach. It comes with a sleek design and you might be tempted to use for outing. Talking about comfort, the shoulder pads are made dexterously with the user’s comfort in mind. So that you know, some user’s made complaints about the stitching on the handles. However, other reviews debunk the claim. Beside this, I think the igloo marine backpack cooler is a bang for your buck. Although not as popular as other models on our list, the Tourit 25L is on the same level and can be considered one of the best backpack coolers on the market. Best suited for outdoor activities, you can pack your lunch and drinks before heading for hikes or short camping trips with friends & family. Reading through reviews, users have praised this backpack cooler as entirely leak-proof and didn’t sweat. However, the manufacturers warn users not to put ice into the chest backpack directly as it may damage the waterproof material inside the cooler bag. while some made complaints about the loose stitching on the shoulder straps, the strap cushions are comfortable even after hanging over the shoulders for some time. On the downside, the zippers aren’t durable. A user complained of the zippy failing apart just after a week using the bag. Next up is a great cooler bag for men of style. Looking at the design, you’ll instantly fall in love with this beauty. But we can’t make do with beauty alone now, can we? If you are looking for a cooler bag with lots of compartment storage, you’d be disappointed to know that Pismo only has two large interior compartments. There’s also an exterior storage to keep your accessories and two drink side pocket. The picnic time pismo is divided into the upper and lower compartments. With the upper designed to store clothing, the lower area is made with thermo guard insulation which will keep beers cold for hours. It’s always nice to find a lightweight cooler bag, at 1.1 pounds, the bag can hold 22 cans with ease. The Ascot bag comes with different compartments where you can store away important valuables like phones, keys, sun shades and so much more. Apart from just having great storage space, the backpack is constructed from a 600 denier polyester canvas, the result is a sturdy body that prevents sweats. Overall, we feel the design is over-engineered, the multiple storage spaces may affect the insulation performance. The Picnic time Turismo is sleek looking cooler backpack that offers multiple storage spaces, not only can you keep cold stuff but can also carry accessories without sacrificing space for any item. Carrying the picnic time Turismo cooler involve using the padded hand grip and padded shoulder straps. This makes the backpack extremely convenient to move around. Also, it has a bottle holster that tags along with a water bottle, external zippered pockets, and two insulated interior compartments. As far as quality is concerned, this cooler is strong. However, the bag has its share of problems like weak Velcro, leaking issue after progressive use. Multiple insulated areas to store foods, drinks, and other valuables. As the name states, the Vonshef is specially made to suffice the need of four people, especially for short events like picnics. The best thing about this cooler bag is the sizeable insulated interior compartment which holds the temperature of your lunch and drinks for hours. It also has multiple compartments to hold different accessories. Detachable bottle holder is fitted on the side, while it features softly padded shoulder straps & a single carry handle for convenient mobility. Another good thing is that this backpack comes with a waterproof fleece tartan pattern blanket, a set of cutleries, napkins, plates, salt & pepper shakers, and flatware. However, a user noted that all the extra accessories the backpack holds are sub-standard products but was content with the price. The north coyote cooler bag is ideal for those who want large insulated compartments to store lunch and drinks. With this bag having a five-star user rating, nothing could ever go wrong. Made of a rugged 600D polyester, the bag is entirely water resistant making it the perfect companion for various outdoor activities. Most importantly, the cooler bag has a large storage compartment where you can keep food & beverages. As I’ve said earlier, the bag has lots of compartment, the large front pockets to store items, while the interior pockets keep your valuables safe. The bag features well-padded shoulder straps and a single grab handle for ease of use. There are no downsides, as we feel most of the cooler bags here have the same problem, doing so would be nitpicking. Finally, the last best backpack cooler we are looking at is the ultra Artic zone. Artic zone is one of the best companies when it comes to backpack products. Yes, the Ultra is one of the best backpack coolers on the market. Artic decided to follow a simple design with the ultra. The ice bag looks simple, but perform great as well. 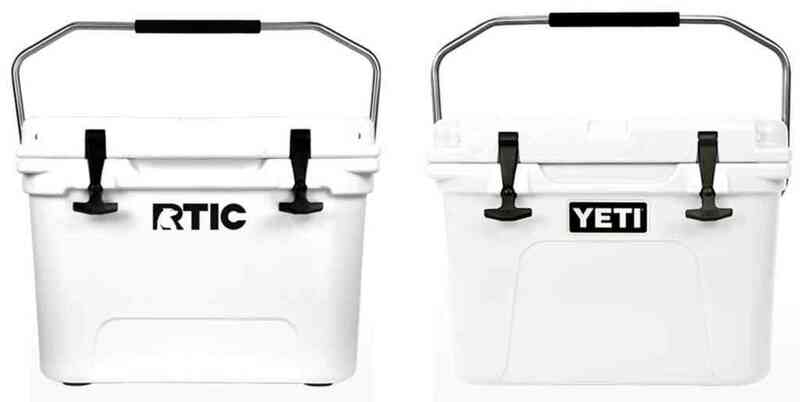 The ultra has a 24 can plus ice pack storage space, four insulated compartments. Now, the main interior compartment is made of super foam material which increases the ice retaining performance of the bag. It also has two side mesh pockets with exterior zippered pockets for valuables. One thing we liked about this bag is even after stuffing it with ice, it didn’t sweat or leak, while it keeps your drinks & beverages ice cold for about 2 days. As for comfort, the adjustable shoulder straps allow users to hang the bag on their shoulders with convenient space. In all, the bag may not be top of the line as it has some downsides like zipper let’s water out and weak stitching at the bottom of the cooler. However, the bag happens to be comfortable, and you are getting a deal for one of best retaining ice backpacks on the market. I know you have questions that need answers like; what is the best cooler bag size? What is the ideal weight of the cooler bag? So we prefer you to have a quick rundown on what to look out for when choosing your cooler bag. If you go wrong about the size, you can never go back. You wouldn’t want to pick a backpack that’s bigger than what you’d carry. For some, a small cooler bag should be enough to cater for various needs. All these depend on the purpose you are using the backpack for. Whether big or small, the bag should be able to provide convenient usage. There’s no denying comfort is the main reason users would buy a cooler backpack. Sure large and small coolers might help you in some ways, but backpacks offer increased mobility and comfort. You can even carry them on your back, and that’s something you can do with conventional coolers. Strap Design: The best cooler backpacks should have padded and adjustable strap, allowing users to carry them around with ease for long periods of time. Material: choose a durable material especially the type that can stand wears and tears for a very long time. Polyester and nylon are perhaps the best materials in producing backpacks. Weight distribution is as important as choosing the bag itself; You don’t want the weight falling on one side, adding pressure on the shoulders. A good backpack distributes the weight evenly. This enables users to have a stress free experience when hiking or going for a walk. A good pocket layout gives you the alternative for carrying accessories without sacrificing space in the bag. Some users will like to carry valuable like car keys, sun shades, or even documents. Now it can be a disaster mixing up these things with your food or drinks. A bag with lots of compartments will not only keep your things safe but give you the liberty to carry essential items. Carrying giant coolers is not ideal, if you won’t need much space and probably won’t be taking a few days out. The best backpack coolers are just what you need to have a maximum convenience and mobility for your next camping, fishing or picnic trip. We hope our best cooler bag reviews have inspired you with helpful tips when it comes to choosing the best backpack coolers for your next adventure. Don’t forget all the relevant factors when it comes to selecting a new backpack, including the size that will carry all you need in one piece.